The Sullivan’s Edge Sensation is sure to be a staple in your showbox for years to come. 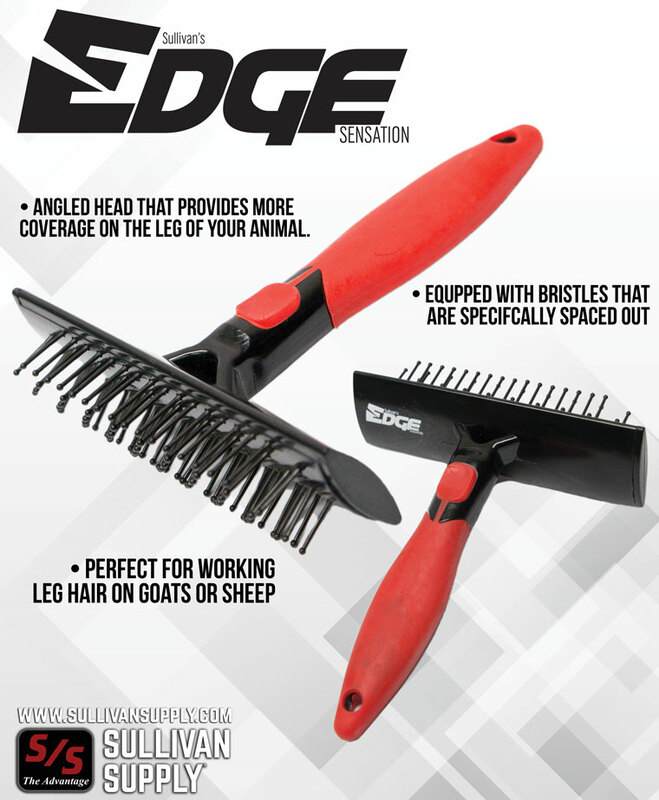 It has an angled head that provides more coverage on the leg of your animal. 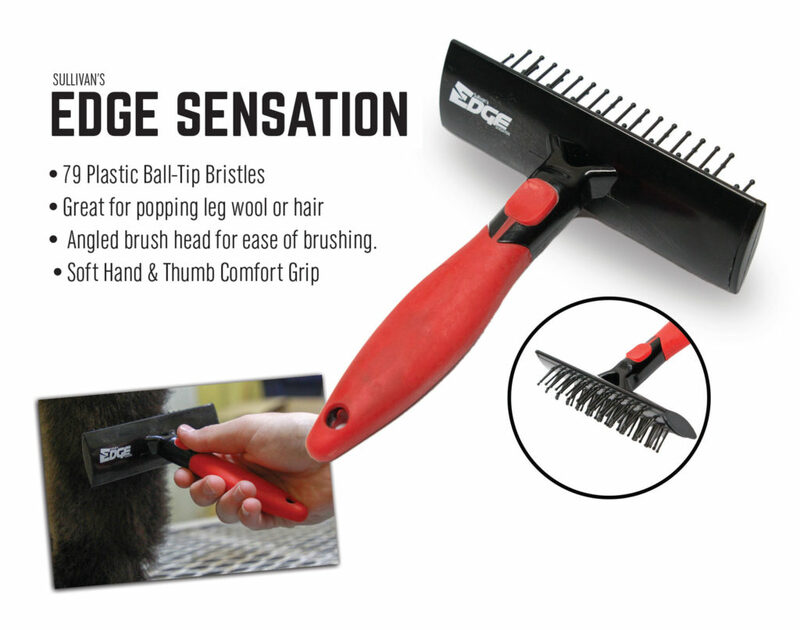 The Edge Sensation comes equipped with bristles that are specifically spaced apart to allow for detangling with minimal wool pullout on lambs, and is great for working the leg hair on cattle and goats.